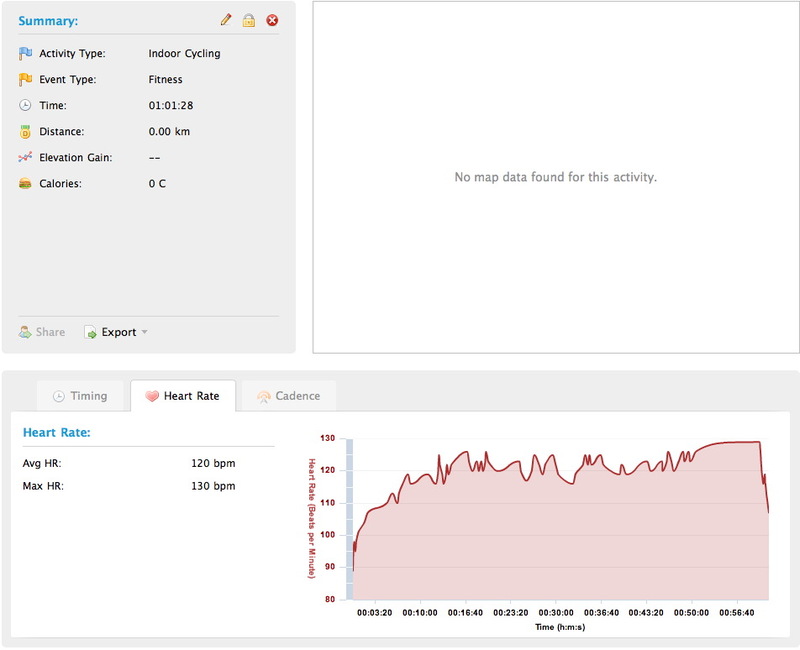 My first tip for you is “Follow the 3/4 Rule”, which states that during a given training week, at least 75% of your km / miles / or time, should be at or below 75% of your maximum heart rate. In other words, at least three-fourths of your weekly training should take place in Zones 1 and 2. That’s right, most of your cycling should consist of easy recovery and slow endurance building rides. So how will you get faster? That’s the other part of the 75% rule. 10% of your weekly mileage should be in Zone 5 (90 to 100% of maximum heart rate). In other words, it should consist of really, really intense riding. The other 15% will vary depending on your training phase and goals, but will often include some training in Zone 4. This is what allows cyclists to modify their physiology. A relatively small amount of very high intensity work combined with lots of endurance and recovery. This approach will help you avoid the biggest mistake made by serious cyclists. Its called the Zone 3 Disease. This happens to cyclists that spend too much time riding at a moderate intensity (i.e., Training Zone 3). At this level, they are riding too hard to promote recovery and not hard enough to facilitate the physiological change needed for significant performance improvement. You feel like you are working pretty hard and you are happy with your workout (and you are – sort of), but you’re just not working hard enough to modify your physiology in ways that will make you faster. For that, you need Zone 4 (80 to 90% of maximum heart rate) and Zone 5 workouts, and they require a significant amount of time for recovery. Each zone serves a specific purpose in your physical development. Zone 1 is referred to as the recovery zone. Workouts in this zone will feel very easy. You can talk in full sentences because breathing is effortless. This is a good intensity for recovering from a hard workout. It’s also a good place to start if you are new to exercise. Zone 2 is famously referred to as the fat-burning zone because workouts at this intensity use about 80% fat as a fuel source. You are working harder than Zone 1, therefore breathing is more labored. However, you can still talk fairly easily. Zone 3 is the aerobic zone where breathing becomes labored and talking becomes somewhat difficult. This is also the zone where you can make great improvements to your aerobic endurance. Zone 4, known as the threshold zone is where your workouts get hard. You will not be talking in this zone! Competitive endurance athletes like swimmers, runners and cyclists spend a lot of time in this zone because it will increase your lactate threshold, which is the key to improving performance (I’ll describe this in greater detail in a future post). Finally, Zone 5 is all about pain! Known as the anaerobic zone, it is not sustainable for long periods because it utilizes the body’s anaerobic energy systems which only last for a few seconds to a maximum of a few minutes. I will carry on tomorrow and speak about the 75% rule when it comes to training – although it does require discipline not to overtrain. Interval training is best described as – short bursts of intense activity interspersed with rest or recovery. It is a means of over loading our bodies for a short period of time to achieve fitness gains. During the early and peak seasons of the training planner (from week 9), interval training is used to develop aerobic and anaerobic fitness. Because it is quite stressful to the body, no more than 2 interval sessions / weeks are done and those new to mountain biking should only do 1 session / week. Interval training is not done any earlier in the programme than this, as a good base level of endurance is required first. Also, because of the high intensity of interval training, too much, too early in the season can cause burn out. Interval training is the final boost towards peak fitness as it develops burst speed for short sharp hill climbs and the sustainable speed needed for a MTB Marathon Series or endurance event. Our bodies are being trained to better tolerate the accumulation of lactic acid and also become more efficient at clearing it away. This will therefore help to delay the onset of fatigue. In the training planner, you will see that there are two types of interval training described – long and short intervals. Long intervals are excellent for building aerobic endurance and should be performed at a moderately hard but sustainable pace – you shouldn’t be going flat out. These sessions are particularly good for those new to MTBing, but more experienced riders can use both long and short intervals. With short intervals the work time is less but the intensity is greater. You should aim to cycle at flat out pace. It is an excellent way to develop anaerobic capacity as lactic acid clearance improves and you will be able to maintain faster speeds for longer. Short intervals at this highest intensity should be avoided if you are new to MTB. As you progress through the 4-week cycle, the number of repetitions can be increased to make the session harder. Interval sessions are excellent for quick after-work burns on the bike, as they are quality workouts that take relatively little time. Treat them with respect though – don’t do too many and avoid a high intensity session the day before your long endurance ride. You will need plenty of recovery time and a good meal after one of these workouts! According to the American College of Sports Medicine, more calories are burned in short, high intensity exercise. If you are counting calories burned, high intensity exercise such as intervals are better than long, slow endurance exercise, but you may pay a price. JAPAN insists its whaling program in Antarctic waters complies with international law, following a threat by Australia to take legal action. Australia’s Prime Minister Kevin Rudd on Friday bluntly warned Japan that it must commit by November to reducing its annual whale catch to zero or face action in the International Court of Justice. Foreign Minister Katsuya Okada called the threat “unfortunate” after weekend talks with Rudd and Foreign Minister Stephen Smith during the first Australia visit by an official of Japan’s five-month-old centre-left government. Japan’s top government spokesman, Chief Cabinet Secretary Hirofumi Hirano, on Monday said the international court was not the right forum for the dispute because Japan’s “research whaling” was legal under international law. Commercial whaling has been banned worldwide since 1986 but Japan justifies its annual hunts as lethal “scientific research” under a loophole permitted by the International Whaling Commission. 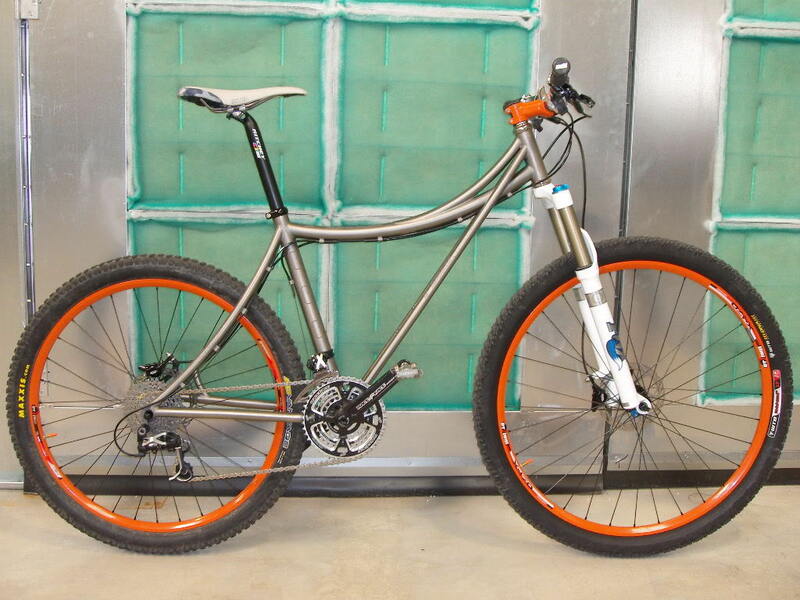 Bigger where it counts, 29 inch front wheel, 26 inch rear wheel. 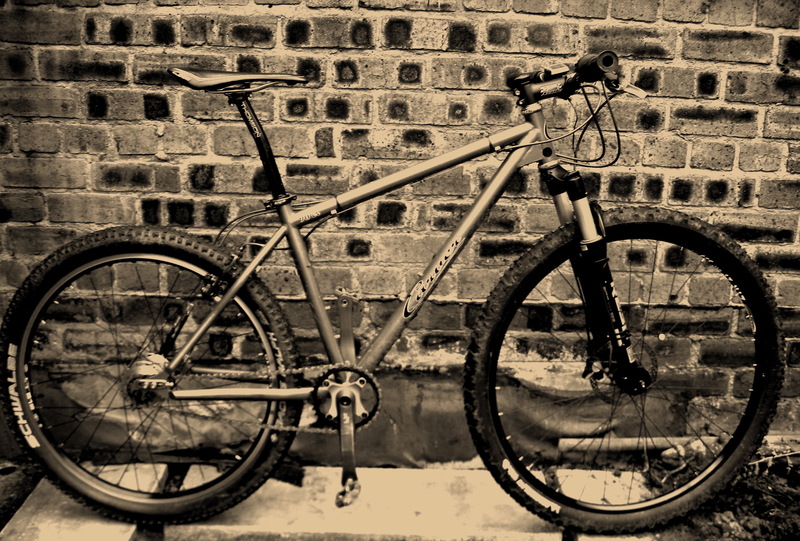 Our first production bicycle is the 96’er, incorperating three basic theories, Roll It, Rip It and Punch It. Here is how it works…. The 29″ front wheel is all about rolling it. A 29″ front wheel, with it’s larger radius, rolls over obstacles more easily than a 26″ wheel. A real benefit on rocky and rooty sections. Motocross racers years ago discovered the value of a big wheel patch up front. More flotation on soft terrain with a larger surface area and longer tire contact patch for extra traction in the corners. 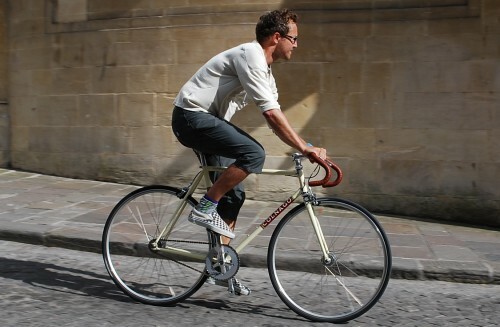 A fixed gear, single-speed or internally geared hub can be used without a chain tensioner. With the EBB the ride of the bike is adjustable. Looking for a bit more clearance to rip the technical sections? 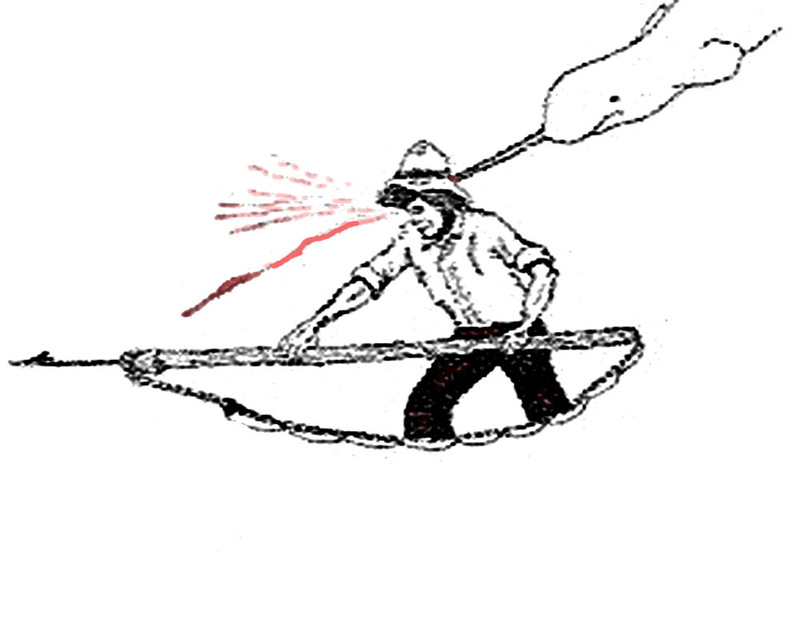 Rotate the EBB to it’s uppermost position. Want a lower center of gravity for high speed non-technical rides? Rotate the EBB to the lowest position. The options are endless. For strength, weight, climbing, power and accelleration the 26″ rear wheel is how we roll. A 26″ rear wheel is lighter and stronger than a 29″ rear wheel while also avoiding the chainstay length issues that come with a 29″ rear wheel. 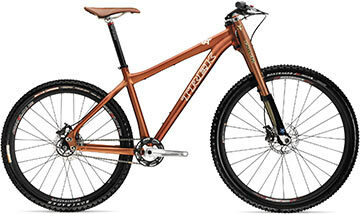 The 26″ allows for a straight seattube and centers your weight on the rear wheel for better climbing. Normal gearing too! No need to gear down to offset the higher gearing of a bigger wheel. 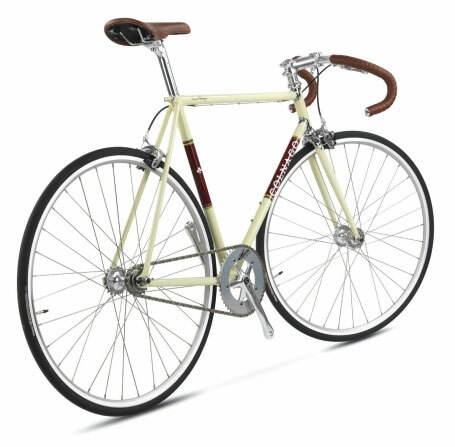 Further to my ramblings about lovely bikes here ….. 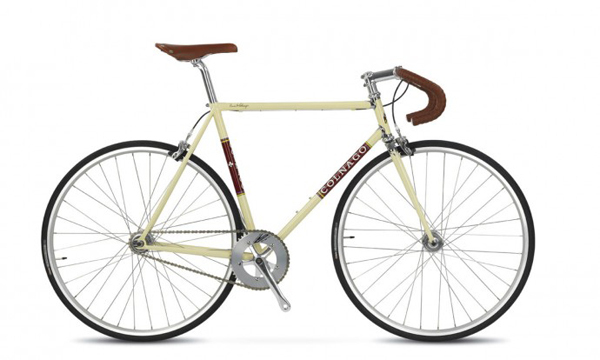 But this latest offering from Colnago (correctly titled Super – as in ‘that there bike is bloody super’) – a singlespeed steel bike is a beauty with a less than pretty price tag. Still compared to a £6k carbon offering it would seem cheap. Not sure about the bars – think ones like this Midge bar from On-One would be better as those specced drops aren’t as useable. Inspired by track bikes of the 1980s and the fashion for simple urban bicycles, the Super combines Colnago craftsmanship with street style. 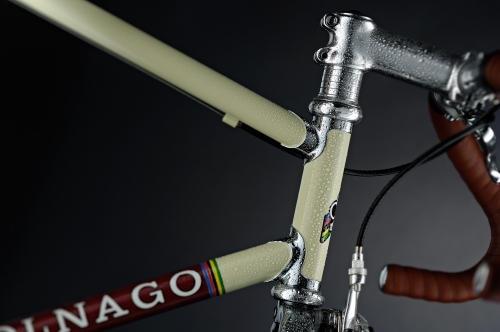 The classic lugged steel frame harks back to Colnago’s artisan heritage. Chrome plating highlights the head lug and the crown of the straight-bladed fork. Tight geometry gives sharp handling for zipping through city streets and Colnago quality copes with the potholes of the city roadscape. A flip-flop hub lets you choose between fixed gear for the ultimate melding of rider and machine or singlespeed freewheel for days when it’s nicer to coast along.